Growing your business, especially in this competitive market is not an easy mission; it requires hard working, spending effective efforts, and expand your knowledge in the e-Commerce industry. So, everyone who operates in the e-Commerce, digital marketing, and retail industry have to be updated with any new addition in these fields, but it could not be achieved without attending the big e-Commerce, Digital Marketing, and Retail events, conferences, and summits that showcase all the latest updates in the industry. Hence, attending like those events that center around the latest and trending in the e-Commerce and retail market must be one of your interests, as you work in this field. According to the importance of attending the biggest e-Commerce and retail events around the world, we will take you on a great journey to show you top 5 must-attend e-Commerce and retail conferences in Europe through February 2019 and help you pick your favorite flower to put in your schedule. Savant eCommerce Berlin 2019 will be powered by Savant Events Ltd, which is a great series of e-Commerce, retail, digital marketing, social media, and affiliate marketing summits around the world. It offers a suite of great opportunities for all marketers, advertisers, brands, businesses, retailers, and all people who operate in the digital marketing, retail, and E-commerce industry. Savant eCommerce Berlin 2019 is exclusive Conferences for Senior Executives from Advanced Pure Players & Omnichannel Retailers in Europe that is considered to be the 5th Annual Savant eCommerce Berlin Conference, where a great gathering of the best industry’s leaders, speakers, experts, and peers will be under one roof. This e-Commerce event will be a two-day conference full off effective sessions, workshops, talks, and presentations; it will also take place from 5th-6th of February 2019 at the Spreespeicher Berlin. Meet top-level speakers where industry-leading executives discuss the latest trends, network and build meaningful relationships. Enjoy a great variety of topics between data-based insights, digital commerce, and digital transformation. Learn what value retailer-driven platforms can offer in a world of marketplaces and heightened competition. Explore how to grow your business. Gabriela Seir European – Head of Digital Product & Innovation At Coca Cola. Felix Jahn – Head of eCommerce Europe At PUMA Europe. Nicky Claeys – CMO Northern Europe At Domino’s Pizza. Jesko Breuer – Managing Partner At JJP-Consult. Philipp Haas – VP Expansion At TIER. iGB Affiliate is returning to introduce one of its big affiliate, e-Commerce, retail, and digital marketing events in its conferences’ series across Europe. In February, it will introduce London Affiliate conference 2019, which will gather over 5,200 delegates to London for four days of networking and learning. Returning to London for its 13th year in a row. 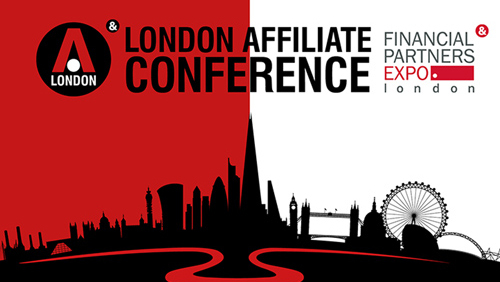 London Affiliate conference 2019 will also provide all the attendees with a suite of great opportunities, as it will bring a great set of hand-picked speakers, experts, and retailers who will share their knowledge, success stories, and their experiences through a great package of sessions, workshops, and presentations. This event is a four-day conference that will begin 6th – 9th of February 2019 at ExCeL, London, UK. Opportunities – Welcoming over 100 new and returning exhibitors and sponsors, LAC provides each attendee the new brand and business partners to circumnavigate the industries challenges. Networking – Expecting to welcome over 5,200 of iGaming professionals from across the globe, we’ve catered networking events, pre, during, and after the event for you to grow your business and personal networks. Education – With over 16 hours of content, LAC 2019 conference content will showcase the latest trends, technologies, and teachings in how to work in the industry’s changes into your business strategies. Creating Meaningful Engagement with the Fan Community. How I Learned to Stop Worrying and Love the Swedish Regulator. How to Know if your Business is Ready for Acquisition. The ABCs of Affiliation in Latin America. Voice Search, Google RankBrain and SEO for Instagram. How the Online Generation is Changing the Face of Africa. How Innovations in iLottery are Changing Gaming for the Masses. The Power of Sharing: Adapting Brand Storytelling for Social. SEO for the Mobile Experience. Affiliate-Operator Relations Are Broken and Can Never Be Fixed. How Airbnb Developed its Community-Led Content Strategy. Harnessing the Power of Social Media Influencers. Dominating in Google SERP’s with PBN. Benjamin Cronin – Head of Content Marketing At Pinnacle. Bertan Baytekin – Chairman & Director At Protipster. Boaz Brindt – Head of Acquisition At The Lotter. Brad Cummings – Founder & CEO At EquiLottery Games. Christian Tirabassi – Senior Partner At Ficom Leisure. Really, it is a great opportunity for all marketers, advertisers, retailers, and all e-commerce service providers the world to be a part of E-commerce Berlin Expo & Conference 2019, where the best industry’s experts, speakers, and leaders will be gathered in one place. This event is considered to be one of the most B2B Expo & Conferences, which will be held in this year. 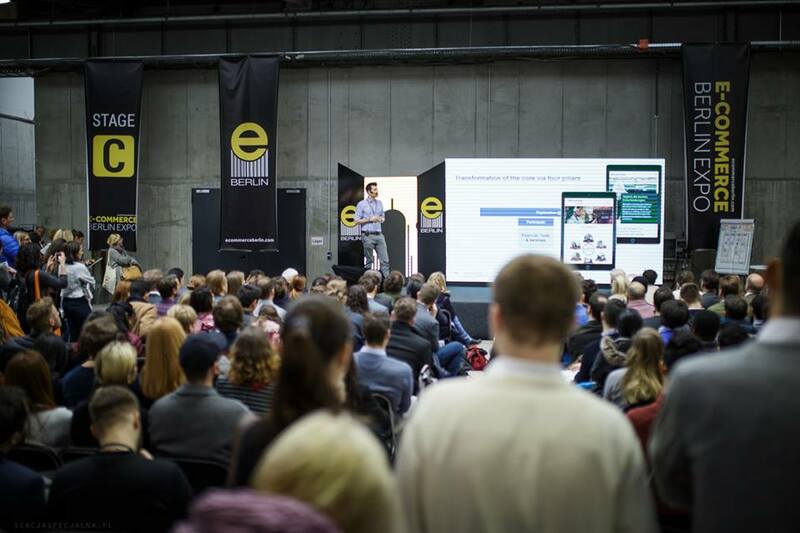 E-commerce Berlin Expo & Conference 2019 will include great numbers, such as 150 exhibitors, 40 speakers, and networking among more than 5000 participants, in addition to including a great number of speakers from the biggest brands, agencies, and companies around the world, like the Facebook company, Google, and ReBuy. Explore the latest in the e-Commerce, retail, and affiliate marketing industry. Listen from the best industry’s leaders and experts in all the E-commerce and retail fields. Network with the people who participate with you the same inspiration. Learn how to grow your business in simple ways. Benefit from the sessions, workshops, talks, and presentations that will be introduced within the conference. 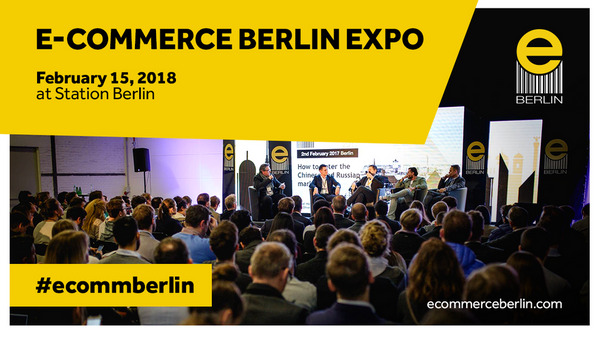 E-commerce Berlin Expo & Conference 2019 is a free event for all attendees. On this front, it should be mentioned that Marketing Show North 2019 – that will be held in Manchester – was one of the best digital marketing events that must be attended through the next month. Marketing Show North 2019 will be presented by Prolific North Limited – an independently-owned publishing company based in Manchester – and Don’t Panic – an event management agency that specializes in delivering events for the digital, marketing and PR industries -. Marketing Show North 2019 is a two-day event that will showcase a great variety of important topics in the digital marketing and E-commerce industry, such as big data, iBeacons, chatbots, drones, artificial intelligence, influencer marketing, virtual and augmented reality, voice and visual search and the internet of things. Don’t let this big conference miss you anymore. Discover all aspects of the rapidly evolving marketing mix – from marketing technologies to changes in sales and customer engagement techniques. Explore the latest in VR, AR, and AI demonstrations. Enjoy the great package of effective sessions, workshops, exhibitors, and talks. All seminar sessions are free to attend. ALEC BURNS – Lead Strategist At Amazon. LAURA CRIMMONS – Founder Of Silverthorn. JASMAN AHMAD – Planning Director At Accord. NICK ENTWISTLE – Creative Director and Founder At Bank of Creativity. JOELY CAREY – Branded Content Specialist At 72point. It is clear that eTail Connect 2019 Conference in Chester is one of the Worldwide Business Research (WBR) biggest event in its series of eCommerce, retail, conversions, digital marketing, and social media events that held regularly around the world. This conference that will take place in February is a place, Where The Future Of Online Retail Is Defined. According to the provided knowledge, experiences, sessions, workshops, talks, and presentations, eTail Connect 2019 Conference will be a valuable opportunity for all retailers, E-commerce people, marketers, and advertisers to be updated with the latest additions in this huge industry, as this event will enable them to benchmark, share ideas, find solutions and build lasting relationships with senior eCommerce executives. Build your own, personalized agenda. Choose the interactive sessions that inspire your passion. Learn, network, be inspired, and have fun doing it. Your support is our top priority, feel free to contact us anytime, through your favorite channel.